You might be anxious with your upcoming due date but not to worry! 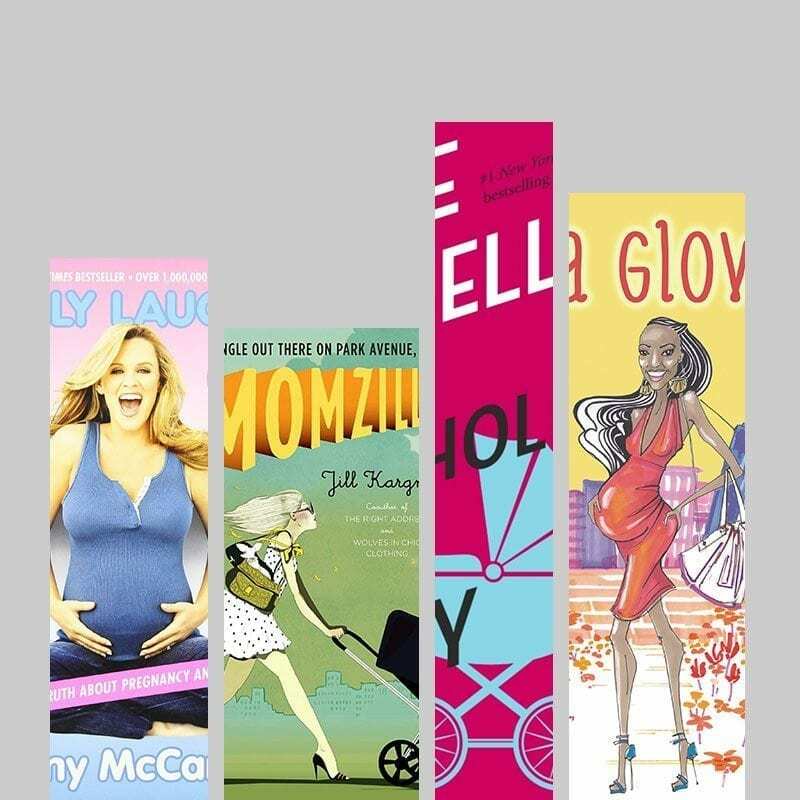 We’ve compiled a list of a few books to get you through your pregnancy. Guide books and fiction, these recommendations should soothe any fears you may have while offering some laughs as well. Latham Thomas has mastered the art of staying healthy and maintaining sanity during the life-changing nine months leading up to giving birth. With illustrated exercises, healthy recipes and the answers to questions every mother-to-be has, Mama Glow is the book you won’t want to be without while pregnant. The co-authors of It’s Really 10 Months are determined to alert all expecting mothers about the realities of pregnancy. Three friends document what it’s really like to be pregnant through a series of emails and Dr. Bob weighs in with some medical advice. If you’re looking for a book that tells it like it is, read this one ASAP. Hannah Allen has just moved with her husband and two-year-old daughter to New York where she is inundated with ill-fated advice from new friends and her overbearing mother-in-law. She finds herself caught up in an unfamiliar world where $300-dollar dresses for toddlers are the norm and ‘pre’ preschool is a necessity. Hannah will have to figure out how to be a mother, wife and friend in her new surroundings. Becky Brandon’s life couldn’t be better. She’s working at one of London’s best new stores, she and her husband are house-hunting and she’s pregnant! Things are going exactly as she had hoped until she gets an appointment with the celebrity obstetrician everyone told her she needed, only to discover the doctor is her husband’s ex! This comical book about all the ups and downs of pregnancy and childbirth will give you something to laugh about on the days when you’re feeling a bit emotional. Covering all the bases, Jenny McCarthy brings her readers the honest story about her pregnancy in this national bestseller.